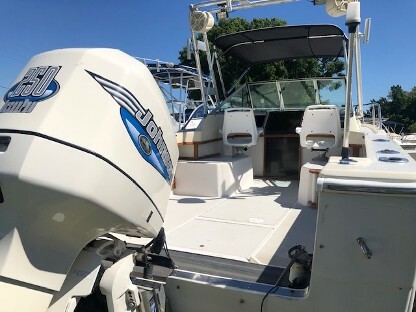 Look For New Inventory Weekly. 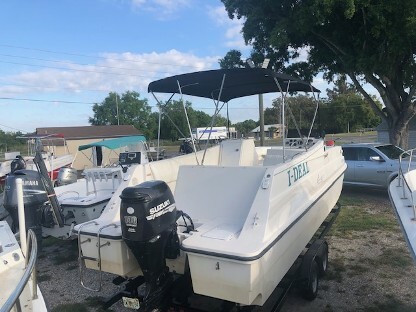 WE OFFER GREAT FINANCING OPTIONS PLEASE CALL 9418332628 FOR MORE INFORMATION. 2008 Stumpknocker 170 Flats. 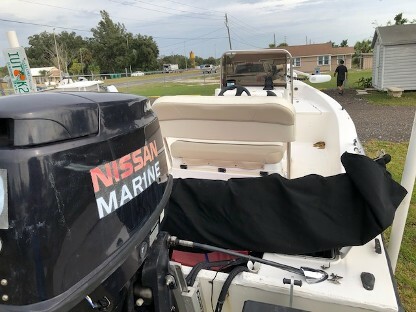 Nissan EFI 70hp, Jack Plate, Trolling Motor with remote, GPS, And Trailer. 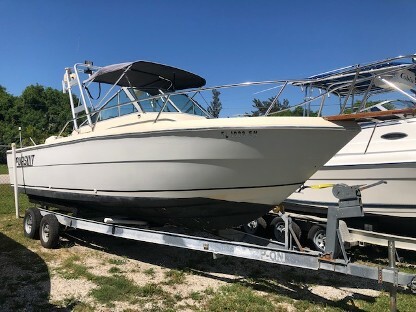 Shallow Draft, Well Built, very solid hull. 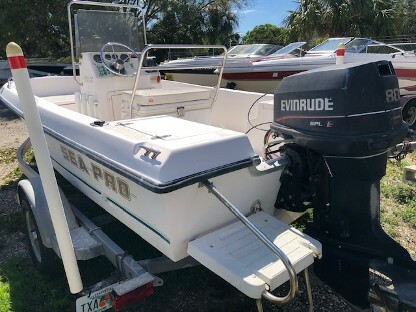 2001 Leasure Cat 26' Deck Boat with a 140hp Suzuki. 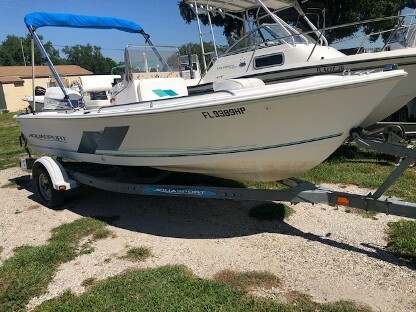 Tons Of room Shallow draft, and has a Trailer. Small weak spot in the stern. the rest is solid, Don't Miss this one. 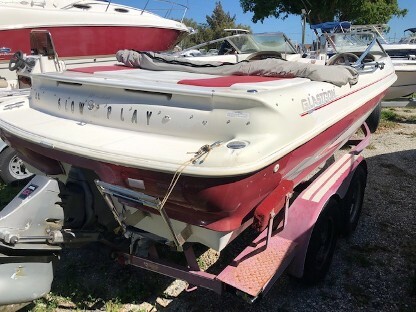 1997 Glastron 205 Open Bow in fair condition runs well. 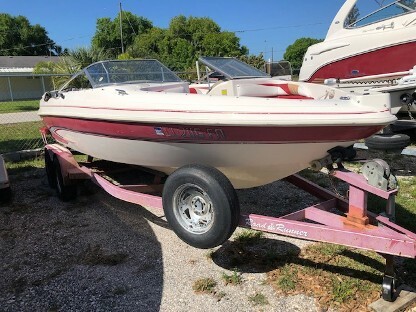 Includes Tandem trailer. Fish and ski mostly a fresh water boat. 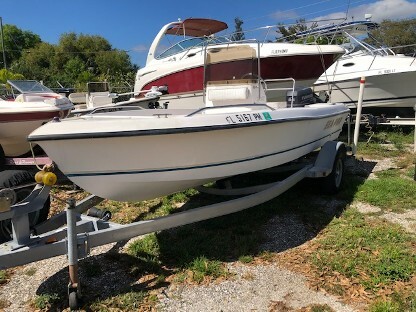 25' Pursuit Walk Around with a 250 Johnson freshley Rebult 25hrs Ago. Runs Perfect! 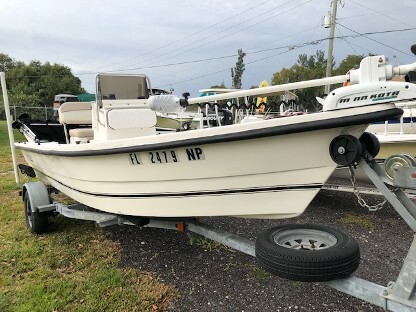 Has Plenty of room with a nice ride. Radar Arch with Rod Holders. 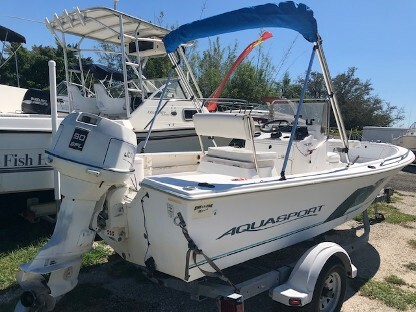 1998 Aqua Sport 17 Center Console with Johnson 90hp One owner in decent shape. 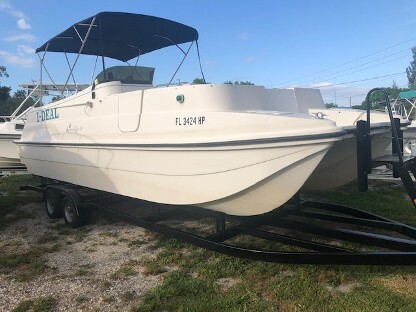 Includes Trailer and a New Bimini Top.